Shortly after Alex Kormann, 17, lost his father, Russ Kormann, to renal cancer this November, he received a package of merchandise from the Indianapolis Colts, The INDY Star reported. The Kormann family had been Colts fans even before the team relocated from Baltimore in 1984. Alex’s cousin, Tom Habib, sent a letter to the Colts telling them of Russ Kormann’s dedication to the team and of his recent passing. 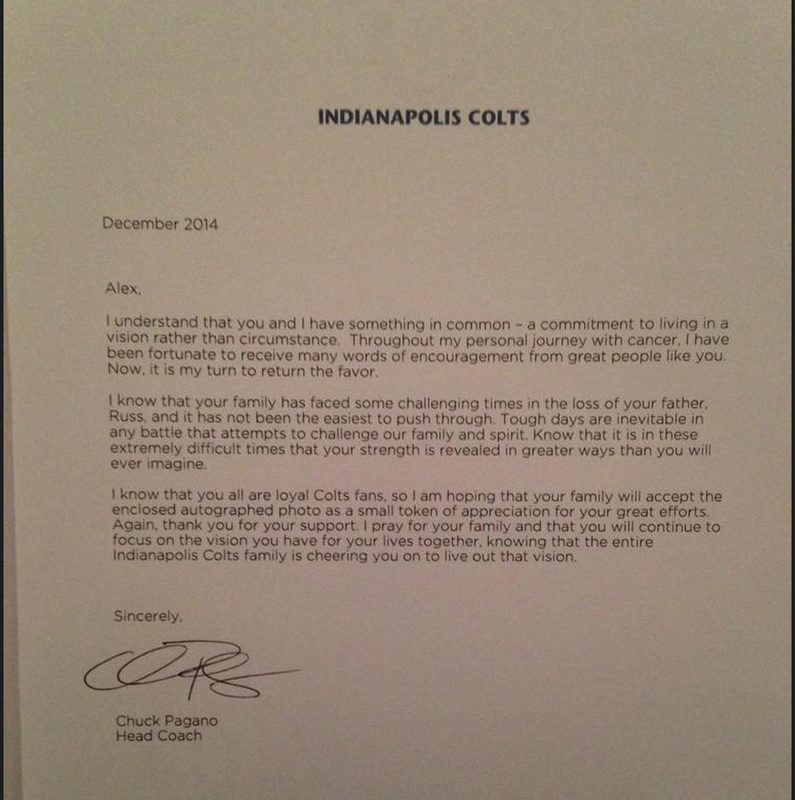 Alex was touched by the gesture alone — but was even more touched when Colts coach Chuck Pagano sent him a personal letter a week later. The note offered encouragement and advice in his time of grieving. Pagano is no stranger to cancer, as he fought a battle with leukemia in 2012, missing much of his first season as the Colts coach, Fox Sports reported. He’s now in remission.